During the Bourgogne (and Champagne) Tour 2016 by ombiasy WineTours, we spent 2 days in Meursault. Our stop in Meursault included a most entertaining and informative vineyard walk through the wonderful vineyards of Meursault with Karoline Knoth. Karoline has a Diploma in European Ethnology and History from the University of Würzburg and lives in Meursault with her husband who is from Meursault. She knows the town and landscape like the back of her hands. She did intensive research on the history of winemaking in Meursault and published a book (Allons en vendage) on wine making in Meursault during the 1930s. She was a perfect guide to give us intimate insights into a Burgundian wine village. The vineyard area totals 394 hectares. There are no Grand Cru vineyards within Meursault, but several highly regarded Premier Cru vineyards. With almost 100 percent, the production of white Meursault dominates. The style of white Meursault typically has a clear oak influence, which have led to descriptions such as "buttery" to be applied to powerful examples of Meursault wines. There are several climats in Meursault classified as Premier Cru vineyards (97 hectares). They consist of two groups, one to the north of the village Meursault, bordering on Volnay, and a larger group to the south of the village, in the direction of Puligny-Montrachet and Blagny. Berry Bros and Rudd: There are more top producers here than in any other commune of the Côte d’Or, and its wines are typically rich and savoury with nutty, honeyed hints and buttery, vanilla spice from the oak. Even though considerably larger than its southerly neighbours Chassagne and Puligny, Meursault contains no Grands Crus. However its three best Premiers Crus produce some of the region’s greatest whites. Total Wine: The opulent white wines of Meursault are favorites of Chardonnay fans. Meursault, which lies towards the southern end of Burgundy’s larger Cote de Beaune region, has 19 designated Premier Cru vineyards that reliably produce some of the world’s best white wines. They are made in an elegant style with flavors and body from oak aging perfectly integrated, balancing rich texture with bright acidity. Meursault’s classic flavors of apple, nuts and butter are intensified by careful aging. Germany’s VDP.Grosse Gewächs – Grand Cru - vintage 2015 white wines and vintage 2014 red wines were released on September 1, 2016. These are the ultra-premium dry wines from the very best vineyard sites made by some of the best producers in Germany. 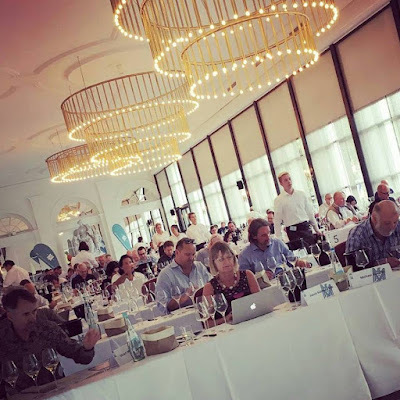 At this annual occasion, a number of presentations by the VDP – the association of German elite winemakers - take place in Germany, including one in Berlin during the first days of September. One presentation that clearly stands out is the pre-release tasting for a group of about 120 wine journalists, bloggers, sommeliers, retailers, importers, etc from all over the world, but mainly from Germany, in the Old Kurhaus in the stately German spa town of Wiesbaden, which is 45 minutes drive from Frankfurt. It is a seated, very well organized tasting where you have the chance to go through the VDP Grosses Gewächs wines during 2 1/2 days. The invitations for this event are highly sought after. This year, I was happy to get again invited by the VDP to participate in the event. Others I saw at the event were US wine importer Rudi Wiest, Gault Millau WeinGuide Deutschland editor Joel B. Payne, winemaker, blogger and internet-TV star Dirk Würtz and Riesling guru and wine journalist Stuart Pigott, Master of Wine Caro Maurer from Germany, US Importer Justin Christoph from New York, Switzerland-based wine critic Yves Beck and Anne Krebiehl, MW, from London. What is a VDP.Grosses Gewächs? There is still a bit of confusion out there, as (1) Grosses Gewächs (GG) is a term that was created by the VDP only a few years ago and (2) the VDP has established a new classification for German wines that differs radically from the German standard classification (and is still in the process of refining and implementing it). The latest revisions were those that came into effect with the vintage 2012. With the latest modifications of 2012, the absolutely finest vineyards are called Grosse Lage (for the 2011 vintage still called Erste Lage) and dry wines from these super top vineyards are called Grosses Gewächs. Grosses Gewächs wines are the finest dry wines from Germany’s finest vineyards. To qualify for the Grosses Gewächs label, a number of criteria need to be respected. (i) The fruit has to come from a Grosse Lage vineyard. (ii) At harvest, the grapes need to be at least at Spätlese level in terms of the sugar content. (iii) Only certain – typical - grape varieties are allowed, including Riesling and Spätburgunder. Riesling is the only varietal allowed for Grosse Lage wines in the Mosel, Nahe, and Mittelrhein, but grapes like Spätburgunder (Pinot Noir), Lemberger, Fruehburgunder, Weissburgunder (Pinot Blanc), Grauburgunder (Pinot Gris), Gewuerztraminer, and Silvaner are included in other regions. (iv) Further restrictions apply: there are yield restrictions; only hand picking of grapes is permitted and harvest must be late in the autumn. What did we have in the Glass in Wiesbaden? This is what we had in the glass in Wiesbaden: White VDP.Grosses Gewächs wines from 2015 and red VDP.Grosses Gewächs wines mostly from 2014, but some also from earlier vintages. Typically, the red GGs are released a year later than the white GGs, i.e. most of the red wines were vintage 2014. 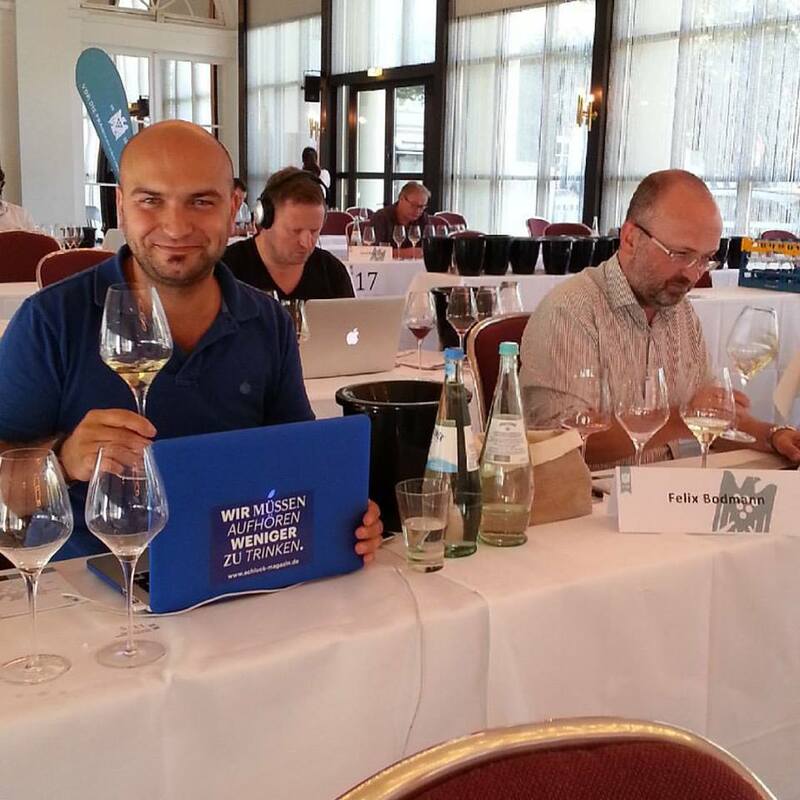 The tasting covered all winegrowing regions in Germany and it did not cover just Riesling. Grosses Gewächs status has been approved for Silvaner, Weissburgunder (Pinot Blanc), Grauburgunder (Pinot Gris), Spätburgunder (Pinot Noir), and Lemberger, plus even a Chardonnay was included this year. But the majority of the wines were, of course, Riesling wines, and each region’s wines are grouped together for comparison. Not all potential GG wines were presented in Wiesbaden, because (1) a number of wines did not pass the internal review of the VDP and thus will never be released as GG and (2) increasingly, winemakers are holding their wines back to release them later. For example, the 2015 Kirchenstück of Dr. Bürklin-Wolf will only be released in March 2017, to give it more time to develop. Juliusspital decided to present its white GGs not after 12 months, but after 24 months aging. Peter Jakob Kühn did not show any wines. And so on. In the following, I list, region by region, my favorite GGs poured at the GG pre-release tasting in Wiesbaden in late August 2016. This is followed by the recommendations of Schnutentunker, a popular German blogger and by the recommendations of Jancis Robinson as far as white non-Riesling GGs are concerned. The Ahr valley north of the 50 °latitude is unquestionable the northernmost region for producing top Pinot-Noirs. The secret lies in an ideal micro-climate found in the narrow canyons along the river with their very special geological conditions, and south-facing slopes. Wine making along the tiny Ahr River goes back to Roman times. The Ahr region showed only red wines: 1 Frühburgunder GG and 10 Spätburgunder GGs. Today, Germany is the third biggest producer of Pinot Noir (called Spätburgunder in Germany), after France and the US, with more planted than Australia and New Zealand combined. Baden is the most southerly German wine-growing area in Germany's southwestern corner. On the other side of the Rhine Valley is Alsace. Baden is known for its pinot wines – red, grey and white. The Spätburgunder is the most widely grown variety in Baden, but Baden showed also a number of GGs from other grape varieties. 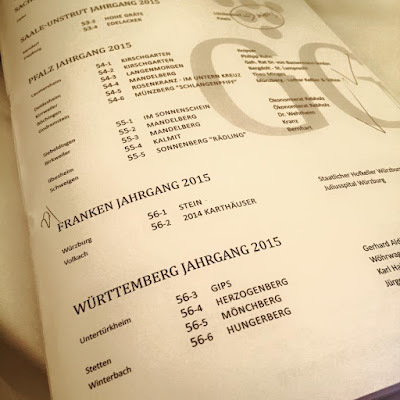 Baden showed the largest number of Spätburgunder GGs, with those of Weingut Bernhard Huber (Bienenberg, Schlossberg, Sommerhalde) standing out, but those of Weingut Salwey (Kirchberg, Henkenberg) and Weingut Dr. Heger (Schlossberg, Vorderer Winklerberg) also showing very well. Weingut Franz Keller also impressed with the Eichberg and Kirchberg GGs. Baden also showed 9 Grauer Burgunder (Pinot Gris) GGs and 10 Weisser Burgunder (Pinot Blanc) GGs. In addition, Baden showed 8 Chardonnay GGs (Top: Bernhard Huber) and 3 Riesling GGs. Franken is known for its crisp, crystal clear wines from their signature grape Silvaner. Indeed, it was the only region to show Silvaner GGs, excellent wines, but hard to find outside of Germany. Schiller’s Favorites: Staatlicher Hofkeller Würzburg (Stein), Horst Sauer (Am Lumpen 1655), Bickel-Stumpf (Mönchshof), Hans Wirsching (Kronsberg, Julius-Echter-Berg), Schmitt’s Kinder (Pfülben), Am Stein, Ludwig Knoll (Stein). Franken also showed 18 Riesling and 2 Weisser Burgunder (Pinot Blanc) GGs. Schiller’s Franken Riesling Favorites: Staatlicher Hofkeller Würzburg (Pfülben, Stein), Rudolf Fürst (Centgrafenberg), Am Stein, Ludwig Knoll (Stein), Hans Wirsching (Julius-Echter-Berg, Kronsberg), Horst Sauer (Am Lumpen 1655), Schmitt’s Kinder (Pfülben). 3 of the 6 Spätburgunder GGs which Franken showed came from Franken’s red wine star Weingut Rudolf Fürst: Schlossberg, Centgrafenberg and Hundsrück. Beginning just below Bonn and extending about 100 km south along the banks of the Rhine, the Mittelrhein is a beautiful region of steep, terraced vineyards and some of the wine world's most splendid scenery, medieval castles and ruins clinging to rocky peaks, sites of ancient legends where Siegfried, Hagen and the Loreley seem to spring to life. Nearly three quarters of the vineyards are planted with Riesling. The Middle-Rhine valley is listed as a UNESCO World Heritage site. Mittelrhein showed 5 Riesling GGs. Both the Engelstein of Matthias Müller and the Im Hahn of Toni Jost were excellent. Traditionally, the Mosel is not a region well known for its ultra-premium dry white wines. Instead, the fruity sweet Kabinett, Spätlese and Auslese wines as well as the noble sweet BA, TBA and Eiswein wines are sought after all over the world by the lovers of fruity and noble sweet wines. But things are changing and the Mosel showed an impressive list of Riesling GGs. In particular, I liked the GGs of Clemens Busch (Marienburg, Marienburg Rothenpfad, Marienburg Fahrlay, Marienburg Falkenlay), Dr. Loosen (Treppchen, Prälat, Würzgarten, Sonnenuhr, Himmelreich, Domprobst), Schloss Lieser (Himmelreich, Niederberg Helden, Fritz Haag (Juffer, Juffer-Sonnenuhr), van Volxem (Goldberg, Volz, Scharzhofberg), Forstmeister Geltz-Zilliken (Rausch), Peter Lauer (Kupp. Schonfels, Saarfeilser), Nik Weis – St. Urbans-Hof (Bockstein, Saarfeilser), Maximin Grünhaus – von Schubert (Abtsberg, Herrenberg). In total, the Mosel showed 50 GGs, up from 40 GGs last year, again all Riesling – no other grape variety. Like the Mosel, the Nahe showed only Riesling GGs – a total of 27 wines, up from 22 last year. My favorites were Kruger-Rumpf (Burgberg, Dautenpflänzer, Im Pitterberg), Diel (Pittermännchen, Goldloch, Burgberg), Schäfer-Fröhlich (Felsenberg, Felseneck, Stromberg, Frühlingsplätzchen, Halenberg) and Dönnhoff (Dellchen, Hermannshöhle, Brücke, Felsenberg “Felsentürmchen). The Pfalz belongs to the group of regions that showed both white and red GGs. As for the white GGs, it showed Riesling and Weisser Burgunder GGs. Among 60 Riesling GGs that the Pfalz showed, I saw the wines of Rings (Weilberg, Saumagen), Reichsrat von Buhl (Freundstück, Jesuitengarten, Pechstein, Ungeheuer, Kieselberg, Reiterpfad “Hofstück”, Reiterpfad “In der Hohl”, Geheimer Rat Dr. von Bassermann-Jordan (Jesuitengarten, Kirchenstück, Pechstein, Ungeheuer, Kalkofen, Grainhübel, Hohenmorgen), A. Christmann (Meerspinne im Mandelgarten, Idig, Langenmorgen, Reiterpfad “Hofstück”) and Ökonomierat Rebholz (Im Sonnenschein, “Ganz Horn” im Sonnenschein, Kastanienbusch) in the lead. Turning to the Weisser Burgunder, the Pfalz showed 11 GGs. I liked the Langenmorgen of Geheimer Rat Dr. von Bassermann-Jordan and Im Sonnenschein and Mandelberg of Ökonomierat Rebholz best. The Rheingau is the region that is closest to my heart. My wife Annette and I discovered the world of wines with the wines of Rheingau, while we lived in Mainz for 10 years. The Rheingau also showed 7 Spätburgunder GGs, but was one of the dominating forces in terms of the Riesling GGs. Schiller’s Rheingau Riesling GG Favorites: Joachim Flick (Nonnberg, Hölle Kantelborn, Königin Victoriaberg), Künstler (Hölle, Kirchenstück, Weiss Erd, Berg Rottland, Berg Schlossberg), Domdechant Werner (Kirchenstück, Domdechaney), Hessische Staatsweingüter Kloster Eberbach (Domdechaney, Marcobrunn, Baikenkopf, Berg Schlossberg), Robert Weil (Gräfenberg), Toni Jost-Hahnenhof (Walkenberg), Diefenhardt (Langenberg), Jakob Jung (Hohenrain, Siegelsberg), Achim Ritter und Edler von Oetinger (Hohenrain, Marcobrunn, Siegelsberg), Barth (Wisselbrunnen, Schönhell), Hans Lang – Urban Kaufmann (Wisselbrunnen), Balthasar Ress (Wisselbrunnen, Nussbrunnen), Josef Spreitzer (Wisselbrunnen, St. Nikolaus, Rosengarten), Georg Müller Stiftung (Nussbrunnen), Prinz (Jungfer, Schönhell), Peter Jakob Kühn (St. Nikolaus, Doosberg), F.B. Schönleber (St. Nikolaus, Jesuitengarten), August Eser (Doosberg), Fritz Allendorf (Hasensprung, Jesuitengarten, Berg Roseneck), Domäne Schloss Johannisberg (Schloss Johannisberger), August Kesseler (Berg Roseneck, Berg Schlossberg), Leitz (Berg Roseneck, Berg Rottland, Berg Schlossberg, Berg Kaisersteinfels). The Rheingau showed 7 Spätburgunder GGs, all excellent: Künstler (Reichestal, Höllenberg), Diefenhardt (Schlenzberg), Hans Lang – Urban Kaufmann (Hassel), Hessische Staatsweingüter Kloster Eberbach (Berg Schlossberg, Höllenberg), Fritz Allendorf (Höllenberg). Rheinhessen showed 34 Riesling GGs, the same number as last year, and 10 Spätburgunder GGs. Kühling-Gillot (Rothenberg “Wurzelecht”, Pettenthal, Ölberg, Hipping) Gunderloch (Rothenberg, Pettenthal, Hipping), Keller (Hubacker), Wittmann (Aulerde, Kirchspiel, Brunnenhäuschen, Morstein) and Battenfeld Spanier (Zellerweg Am Schwarzen Herrgott, Frauenberg, Kirchenstück) and Schätzel (Ölberg, Hipping) were my favorites. The tiny wine region in the former GDR – Saale Unstrut - showed 5 GGs, by Pawis and Lützkendorf: 2 Rieslings, 1 Traminer and 2 Weisser Burgunders, all excellent. The other tiny region in the former GDR – Sachsen - present 2 GGs, a Weisser Burgunder GG and a Spätburgunder GG, both by Schloss Proschwitz – Prinz zur Lippe, both top. Wines from Baden and Württemberg are hard to find in the US. This is partly explained by the production structure, which is dominated by co-operatives. Much of the wine sector in Baden and Württemberg is in the hands of local co-operatives. These co-operatives are known for producing top class wines. But they tend to be less aggressive in terms of penetrating new markets. Stuart Pigott, the German wine writer, believes that Württemberg is the area with the largest potential for quality growth in Germany. Württemberg showed 15 Riesling GGs. Schiller’s Favorites: Weingut des Grafen Neipperg (Ruthe, Schlossberg), Wachstetter (Höhenberg “Glaukös”), Ernst Dautel (Steingrüben), Herzog von Württemberg (Brotwasser). In addition, in terms of white wines, Württemberg showed 4 Weisser Burgunder GGs and 2 Grauer Burgunder GGs. Turning to red GGs, Württemberg showed 12 Spätburgunder GGs. Schiller’s Favorites: Graf Neipperg (Schlossberg), Ernst Dautel (Schupen, Forstberg), Schnaitmann (Lämmler). Finally, all of the Lemberger GGs were from Württemberg, with the wines of von Graf Neipperg (Ruthe, Schlossberg), Ernst Dautel (Michaelsberg), Herzog von Württemberg (Mönchberg) and Schnaitmann (Lämmler) standing out. Here are the favorites of Felix Bodmann, Schnutentunker, a popular German Blogger. Here are the favorites of Jancis Robinson of the Financial Times as far as non-Riesling white GGs are concerned. 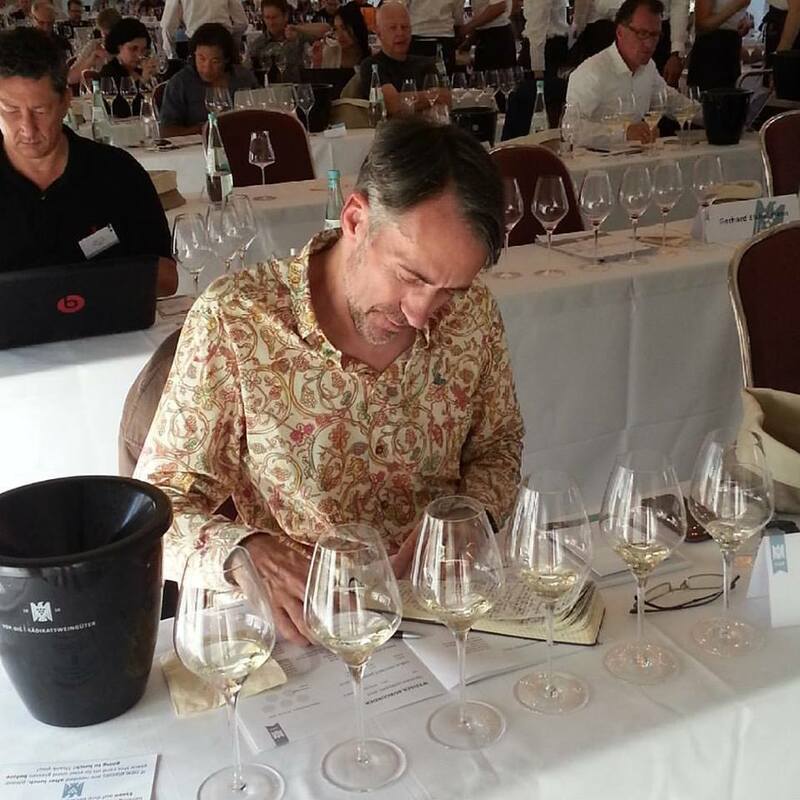 Stuart Pigott wrote a long article about the Wiesbaden tasting in the FAS of September 4, 2016, in German. Below, I tried to summarize his recommendations. Led by Annette Schiller, the Bordeaux Tour 2016 by ombiasy WineTours took place from September 6 to 15, 2016. The group comprised 14 wine lovers from the United States and Switzerland, including Annette and Christian Schiller. I already provided an overview of the tour. See the list of postings at the end of the article. This posting focuses on our first event: Visit and Tasting at Millésima. Following a welcome coffee and introduction to the Bordeaux wine region at Hotel La Tour Intendance in the afternoon of September 6, 2016, we took a short bus ride to our first event: Tour and Tasting at Millésima in Bordeaux City. At the storage facility of Millésima at the outskirts of Bordeaux City, where over two million bottles of top Bordeaux wines are stored and waiting to be shipped, we were introduced to the system how the top producers of premium Bordeaux wines sell their wine to their customers all over the world and had our first tasting, a wine and cheese pairing. The way the top producers of Bordeaux sell their wines to their customers all around the world differs strikingly from the way their colleagues in other countries or even in Bordeaux do. Wine maker Doug Fabbioli from Fabbioli Cellars in Virginia, for example, sells the wine he produces during the course of the year to the consumers who show up at his winery and by the wine directly from him. 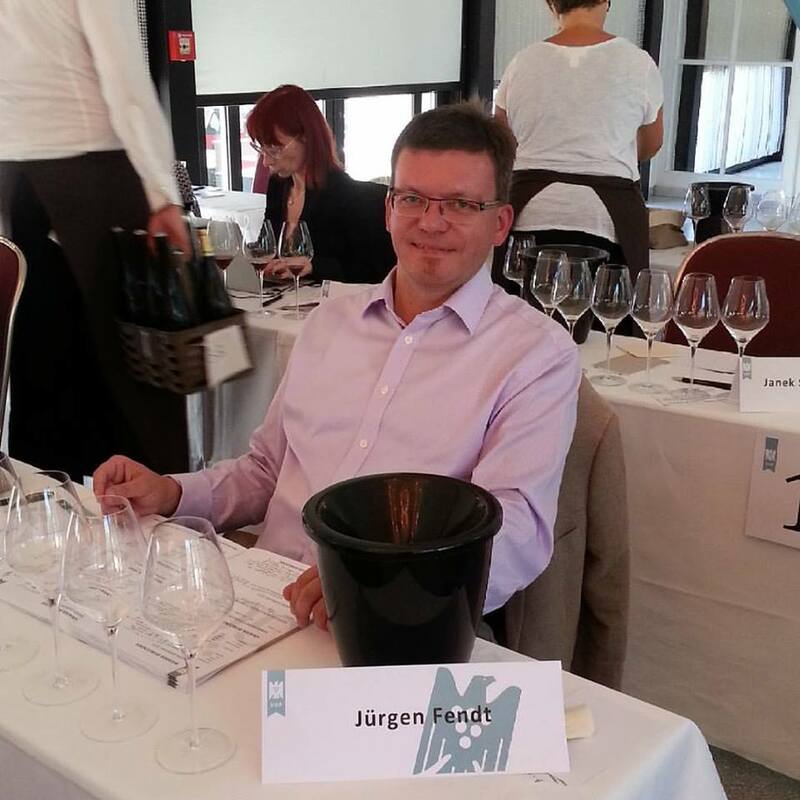 Wine maker Ernst Loosen from Dr. Loosen in the Mosel Valley in Germany, whose wines are available all over the world, works, I assume, with wholesalers in Germany as well as with importers from all over the world, who buy the wine from him during the course of the year. The wines of both Doug Fabbioli and Ernst Loosen are sold after the wines have been bottled and are ready to be consumed. The way the system works for the premium Bordeaux wines is different. And it is unique in the world. The wines are sold well before they are bottled (en primeur system) and the wines are sold and distributed to the world through negociants (Place de Bordeaux). Buying Bordeaux wines en primeur is like buying commodity futures, with cash laid down now for later delivery of something that does not yet exist as a finished product. The futures reach the consumer through a series of phases. Today, there are 400 négociants on the Place de Bordeaux, and most labels are purchased by an average of 40. Each chateau works with a different number of negociants. Some properties work with 5 different negociants, others work with over 100. I provided an overview of the system here: Bordeaux - En Primeur, Negociants, Courtiers, the Quai de Chartons and the Place de Bordeaux – A Short Introduction. Go there for more information. Following the tour through the vast storage rooms we sat down for a wine tasting paired with cheese. We tasted 4 entirely different wines: white, red right bank, red left bank and sweet.